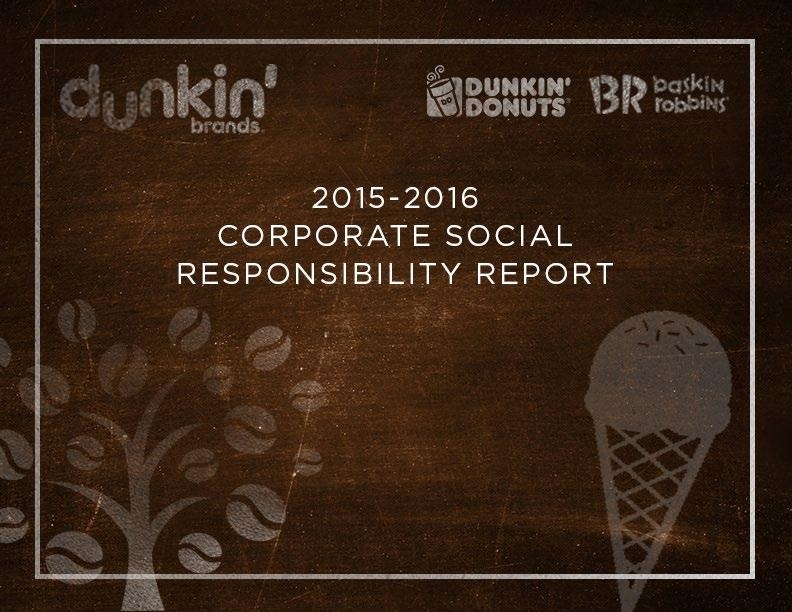 At Dunkin’ Brands, we feel fortunate that our restaurants are part of the fabric of so many communities and neighborhoods around the globe, and our franchisees value the role they can play in strengthening their communities. The mission of the Joy in Childhood Foundation is to provide simple moments of joy to sick and hungry kids. Since 2006, the Joy in Childhood Foundation has granted millions of dollars to help improve the lives of children and families in the communities where we operate. For more in-depth information about the Joy in Childhood Foundation, its programs and its financials, please refer to the Foundation’s Neighborhood Impact Reports. As part of our benefits package, Dunkin’ Brands employees get five hours of paid volunteer time a year. Our employees volunteer with various organizations in the community – from veterans organizations to animal rescue leagues and homeless shelters. One of our most beloved giving programs, Coffee For Our Troops, provides pounds of Dunkin’ coffee to troops overseas thanks in part to donations from our employees. For Dunkin’ and Baskin-Robbins franchisees, charitable giving begins at their own front doors. Our franchisees generously support many local organizations such as the Jimmy Fund, American Red Cross, Autism Speaks, Special Olympics, Make-A-Wish Foundation, Easter Seals, and local children’s hospitals.